Wisdom of Life. 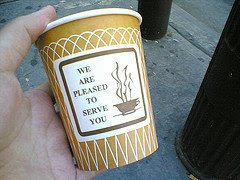 : Serving to please. Today I brought a maturity cheque to Kumar. I have known him and his family for more than twenty years. During these two decades, he had taken my advices to effect all the various plans for his family. Many a time, he had intention to terminate some policies or when he wasn't doing well, he tried to avoid paying his premium. Whenever that happened, we would sit down to review and to discuss. I would try my level best to encourage him to continue, which he never failed to accept my professional advices. Although he wasn't in the house, I gave the cheque to his loving wife, Muni who was delighted with excitement. This was the second maturity cheque given so far. Two years ago, we handed to him a similar payment. This was what Muni said when she received our insurance cheque. "Robert! We are so glad to have been blessed with such a committed life insurance agent like you. I have to thank you Chakra who introduced you to us. Without your constant encouragement and advices, we will not be able to save by ourself definitely. This saving won't be here today. Thank you for being an agent and a good friend to us." Those words melted my heart deeply. I felt honour to serve. I felt proud to be still around and to be available after more than 26 years in the making. I did not deviate, neither did I move away for other greener pasture, but rather to keep my promise to deliver. I am here to serve to please which matters. Food for the heart - "If you can make good use of time, you will surely go where you want to go."